LED light bulbs are very affordable at the moment but smart bulbs are still quite expensive. For the same price of a single smart bulb, you can buy a pack of 16 normal bulbs. The Revogi LTB012 Delite 2 is among the lowest cost options but it already priced nearly $30. Is it really worth the extra cost? Let’s find out in the review. The Delite 2 uses the universal E26/E27 screw which is compatible with most lamps on the market. It features a Polycarbonate diffuser cover and aluminum enclosure. Inside the bulb, there are a Bluetooth module and 8 LED lights mounted on an aluminum plate. Therefore, it feels quite heavy and durable. The bulb is bright enough for reading, specifically, it can output 450 lumens in white color. Of course, the other light colors are not that bright. 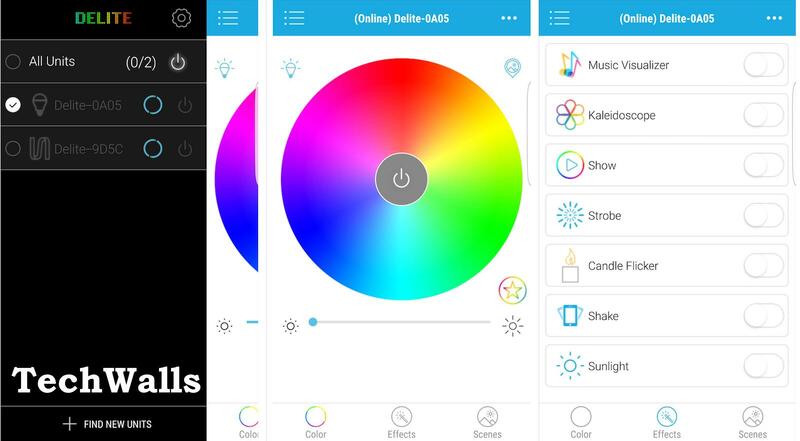 To get the most out of the LED bulb, you should install the Delite app. You can use the app to control this bulb or any other lighting product from Revogi. You can control up to 10 lights with this app. 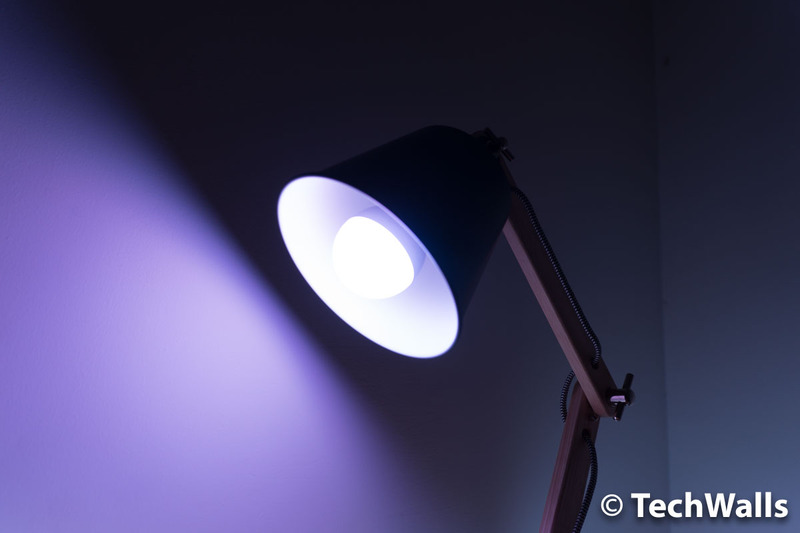 You can set the color temperature (from 2,700 to 6,500K), change brightness, or set light color. The most interesting section is probably the Effects tab. Here you can find a lot of effects like music visualizer, Kaleidoscope, show, strobe, candle flicker, shake, or sunlight. You can see all of those effects in action in the video above. Besides, there are some useful functionalities hidden in the app. For example, the anti-burglar mode turns on/off the light randomly when you’re away; the proximity function turns on when you’re near the light and turns off when you’re leaving; You can also set schedule and incoming call/SMS alert. Unfortunately, there is a major issue with the LED bulb. The Bluetooth connection is not consistent at all. Every time I start the app, it often takes a while to reconnect to the bulb. Most of the time, I have to turn on/off the light manually with the included switch, and it will be connected successfully then. This is quite disappointing as I can’t turn on all the lights within the app at once. Besides, the light sometimes turned on/off automatically although I disabled the anti-burglar mode. I really hope the issue could be fixed in a firmware upgrade. The Revogi LTB012 Delite 2 has a lot of promises but I can’t recommend the product until the connection issue is fixed. A very well-built smart LED bulb with connection issue.